The middle stage of Alzheimer’s disease brings significant changes for the individual, their families and caregivers. During the early stages of the disease, your loved one experienced increasing difficulty with remembering words, names, and new information. In the middle stage, these difficulties will become more pronounced and additional challenges will emerge. Caring for someone in the middle stage of Alzheimer’s disease can be a challenging, stressful responsibility. 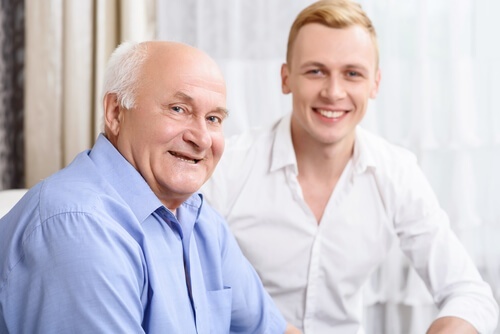 As their loved one or caregiver, you need to know how to help family members navigate the difficulties and frustrations they will face while also ensuring their safety and comfort. Remember that you are not alone and that there are many resources you can use to support yourself and your family during this process. What Should You Expect During the Middle Stage of Alzheimer’s Disease? The middle stage of Alzheimer’s disease can last for many years. As the disease progresses, the individual will experience increasing damage to the brain which results in significant changes to mood, personality, physical and mental abilities, and behavior. Your loved one may require round-the-clock care to ensure safety and prevent wandering or injury. He or she may also experience mood disorders such as depression or anxiety. What are the Symptoms and Challenges of Middle Stage Alzheimer’s? Behavioral changes—Your loved one may become irritable, suspicious, or obstinate. He or she may experience outbursts of anger or engage in repetitive behaviors. You may also notice changes in sleep patterns or a propensity to wander and get lost. Communication barriers—Communication becomes more difficult during this stage as your family member increasingly struggles with finding the right words and remembering what they want to say. He or she may also lose their train of thought, repeat questions, or forget the answers you gave. Daily care needs—Expect increasing difficulty with getting dressed, bathing, and other routine tasks. Your loved one may struggle to eat or use the bathroom independently and this loss can prove to be extremely difficult and frustrating. Safety concerns—Wandering presents a serious safety concern for people in this middle stage. Other potential safety issues include driving and hazards in the living environment. Giving up independence is extremely difficult, but some activities will become too dangerous for your loved one to continue. 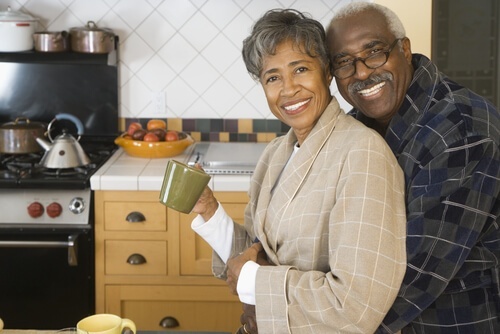 These may include driving, living alone, and certain activities in the home such as cooking or navigating stairs. Involve your mom or dad in the decision to give up certain activities by giving specific examples of problems. Acknowledge that they may be frustrated or fearful, and assure them that you will provide the help they need so they can still enjoy their favorite outings and hobbies. Be sure daily care needs are met. If you notice that your loved one cannot take care of basic needs like hygiene, eating, or getting to the bathroom, make sure a caregiver is there to help. Consider asking local family members to rotate care or work with a home care agency to provide a caregiver. Speak distinctly and be patient with communication. Communication can become increasingly difficult as Alzheimer’s progresses. If your loved one repeats questions or doesn’t remember conversations, be patient with them. Avoid asking them if they remember; instead, repeat the information gently and without raising your voice. One way to minimize wandering and anxiety is to provide opportunities for meaningful activities. These don’t have to be elaborate outings. They can be as simple as preparing a meal together or taking a walk. Companionship goes a long way toward dealing with depression and other mood disorders associated with Alzheimer’s. Do You Need Additional Support for Middle Stage Alzheimer’s Care? Ask family members to alternate care—If you have several family members who live locally, alternate care responsibilities so that everyone gets a break. It also helps to have several people checking in with your mom or dad so you can get multiple perspectives on changes in health or mental capabilities. Consider respite care—If you are the sole caregiver, take advantage of respite care to give yourself a much-needed rest. Respite care will step in and care for your family member so you can focus your attention on other responsibilities or simply take a break. Research home care—Home care for Alzheimer’s is an excellent option for families who cannot shoulder the full burden of care. A home caregiver can help your loved one with the needs of daily living including eating, bathing, dressing, medication reminders, transportation, light housekeeping and much more. Home care also provides companionship for your mom or dad as they face loneliness and isolation as a result of the disease. Caregiving needs become more demanding during the middle stage of Alzheimer’s. That’s why it’s important to surround yourself with a strong support system. Research care options in Ohio, including private pay and other solutions that may be covered by Medicaid or insurance, so that you can develop both an immediate and long-term care plan.